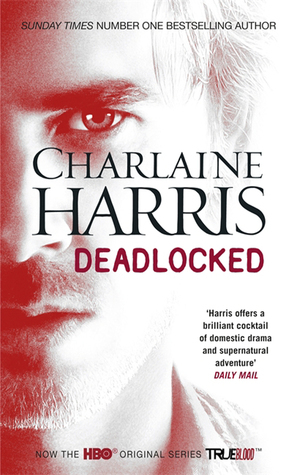 Slow and frustrating to intense and dramatic – the reader truly goes through their paces with this twelfth instalment of the Sookie Stackhouse series in ‘Deadlocked’. There is no doubt that Charlaine Harris has created a brilliant series with these novels. We are introduced to very different characters from all corners of the supernatural world from vampires, werewolves and shapeshifters to fairies, witches and demons. And throughout these novels the audience has a great dose of romance, mystery, action and adventure. But throughout the series I have felt mixed emotions as some novels have exceeded expectation whereas others have left me disappointed. Unfortunately, I was a little disappointed at ‘Deadlocked’. Until the latter stages of the story I found myself feeling bored, frustrated and easily distracted. 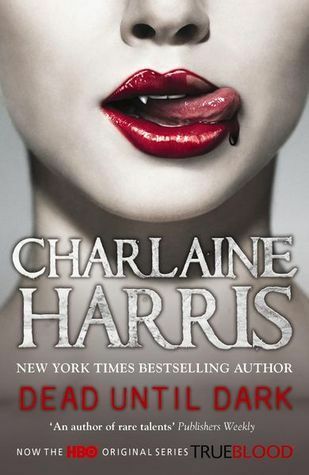 When reading a Sookie Stackhouse book I believe the reader expects a fairly quick-paced adventure with mystery, romance and action along the way. However, these expectations were not met as there was very little action and where was the romance? I found the story to be slow during the first couple of chapters. Sookie is having a catch-up with her girlfriends at a Ladies Night only event. I feel that the conversations are far too detailed concerning the lives of some characters that are not fundamental to the story, whilst there are other characters that the reader would rather be hearing about. Although this idea of the catch-up is good in terms of re-capping the reader or introducing the new reader of the series, I felt that it was too long. At the same time I remember thinking to myself that new readers of the series probably hadn’t been given enough information on past events and characters, making this novel difficult to read as a stand alone. Chapter 3 really begins the story for me, when Sookie attends a vampire party at Eric’s house and finds him drinking blood from a young girl. Minutes later the girl is found dead in Eric’s yard and this is where the mystery begins. Eric is a main suspect for killing the girl and Sookie cannot be sure that he is innocent. The scenes at the party are dramatic. As the novel is written from Sookie’s point of view, as is the whole series, the reader can understand her emotions and reactions to Eric and what has happened. After the party scenes, I felt that the investigation into the girl’s death was left, in the story, for the police to look into, whilst Bill was carrying out his own digging. However, Sookie did not seem to have much to do with this at all. As main characters of the series I was surprised to find that Eric, Bill and Alcide (among others) did not have as much mention as expected. I found this novel concentrated mostly on Sookie, her Fae family and the cluviel dor, left from her grandmother, which would allow her one wish. While other characters appeared busy working out what was happening with the vampires, werewolves and fairies Sookie seemed to be waiting around for news. During this time Sookie seems helpless, with not much to do other than keep the cluviel dor secret and safe. To fill in these gaps the reader is subjected to Sookie’s chores and errands. We find out who she serves at Merlottes, what they have to eat and hear more chit-chat while she’s carrying out her daytime job as a waitress. Sookie will also go to the convenience store and cook for her friends, etc. For me, this is not information I need to know – a sentence or two would have been adequate. But even though this is tedious it does give the reader a contrast between Sookie’s daily life and the ordeals she faces with the supernaturals. This also provides the reader with the knowledge that Sookie is almost an ordinary gal in which we can relate to. Although I found this novel disappointing in many areas that is not to say that it is not worth a read. I would recommend fans of the series to still read this, whilst readers new to the series would be best to start from the beginning of the series with ‘Dead Until Dark’. I say this because the latter chapters really opened up the story and many loose ends were wrapped up in quite a dramatic way. At this point in the book nothing distracted me and I felt quite tense reading these scenes as we found out who killed the young girl and why. These intense and dramatic scenes really made the book. Sookie does end up in a spot of bother, needing help herself and then needing to help a friend. I cannot really say more without spoiling the end but it is worth the wait! There are still some areas that need wrapping up such as who will Sookie give her heart to, will Felipe ever leave and allow Eric to remain Sheriff of Area 5 or will Eric marry Freyda? What lies in store for Bill, Sam and Alcide? All of these questions make me want to read the following novel ‘Dead Ever After’ hopefully being released in May 2013!